Everybody knows that it is important to live a healthy, active lifestyle. However, knowing it and actually making it a reality are two very different things. This is something George Ammar knows like no other. As the founder and chief financial officer of Ohio CFO LLC, the CPA certified accountant knew that he had to focus on his health. He has a directory of clients that include a variety of medical professionals, but he never used them for anything. When his resilience to common bugs started to suffer, however, he knew he had to make it his business to become more active and healthy. One way he did that was by identifying the more unusual and off the beaten track ways in Cleveland, Ohio to get active. 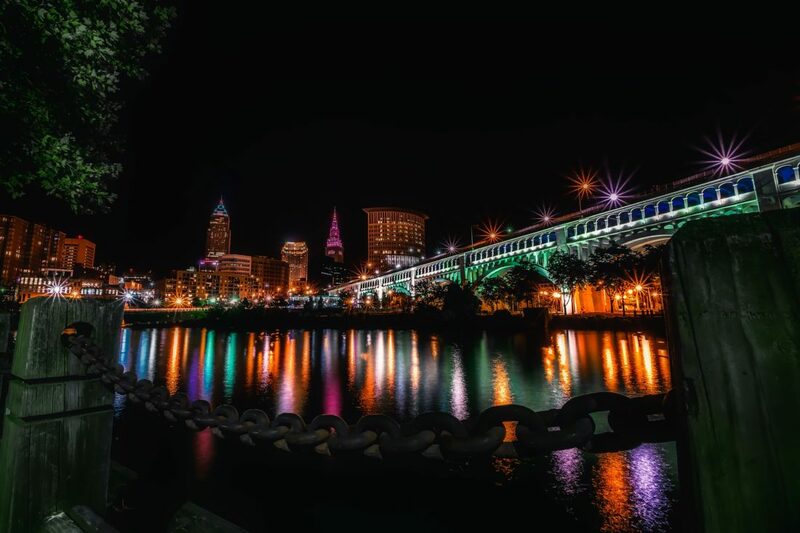 According to George S. Ammar, there are plenty of things people can do in Cleveland, Ohio to get active and healthy, no matter how busy they think they are. For instance, Cleveland as a city has officially committed to being bike friendly. This means that hour long commutes can be completed much more quickly by taking a bike, while at the same time focusing on being active and getting healthy. Ammar had also noticed that his business got in the way of family time. This meant that he was missing out on his kids. However, he could not think of any way in which he could fit his business, which was needed to pay the bills, his health, and activities for his children. However, that is when he discovered how many free playgrounds there are in Cleveland. He now cycles there with his children once per week and enjoys being young at heart again. Additionally, few people know that a lot of the rec centers across Cleveland, Ohio are completely free to use. They often also have classes, generally outside of working hours, for people who are busy and want to learn how to be active again. There is an excellent directory of rec centers provided by various public health initiatives that can be consulted to find your nearest center. Also, Ammar was excited to see the Bus Stop Moves initiative. This offers an opportunity to stay active when waiting for the bus to arrive. It is technically an art project, but it is designed to show people different moves they can make while waiting, thereby decreasing the health problems of sedentary lifestyles, while having a bit of fun at the same time. According to George S. Ammar, Cleveland, Ohio is a fantastic city for people who need to work but want to be healthy and active at the same time. The directory of available resources is almost endless. Best of all, most of the things don’t cost any money at all. Currently, Ammar is considering reducing his hours at work somewhat. While that may mean a cut in pay, he won’t be spending it expensive personal trainers any more either.